Marlow (historically Great Marlow or Chipping Marlow) is a town and civil parish within Wycombe district in south Buckinghamshire, England. It is located on the River Thames, 6.5 km south-southwest of High Wycombe, 8 km west-northwest of Maidenhead and 53 km west of central London. 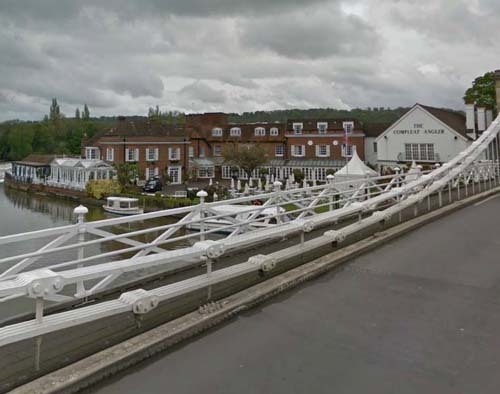 There has been a bridge over the Thames at Marlow since the reign of King Edward III. The current bridge is a suspension bridge, designed by William Tierney Clark in 1832, and was a prototype for the nearly identical but larger Széchenyi Chain Bridge across the River Danube in Budapest. The Junior Wing of the Royal Military College, now based at Sandhurst on the border between Berkshire and Surrey, was once based at Remnantz in West Street – it was a mansion built in the early 18th century and served as the junior section of the college from 1801 until 1812. The weather vane on the building features a man firing a cannon, which possibly dates from that period. 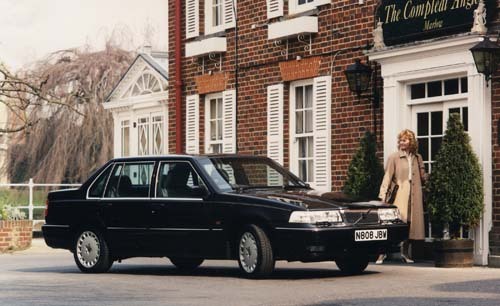 The building is now owned by the Bosley family. The Hand & Flowers, the first gastropub to hold two Michelin stars is located on West Street. 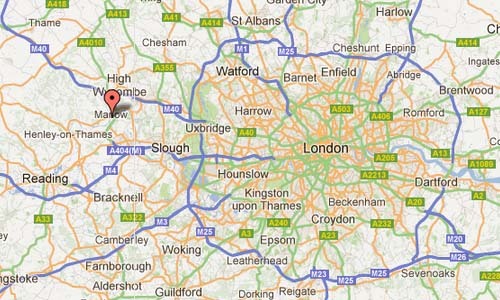 Like many local pubs, it serves the award-winning beers brewed locally in Marlow Bottom by the Rebellion Beer Company. 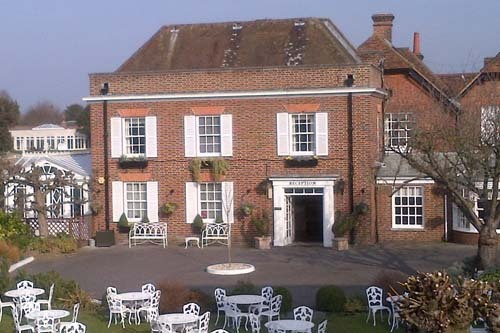 Overlooking Marlow Weir and the River Thames, the Compleat Angler Hotel is 4-star, 400 year old country house that offers luxurious rooms, private boats and fishing. It boasts 2 award-winning restaurants and a cocktail bar. The Compleat Angler’s elegant rooms have classic decor and are named after fly fishing lures. All have satellite TV, a work desk and a bathroom with a bath and shower. The Aubergine Restaurant at Macdonald Compleat Angler Hotel has won an AA 3 Rosette award and offers a European menu and river views. The Bowater Restaurant has a terrace overlooking the river and serves British and international dishes, including afternoon tea and Sunday lunch. 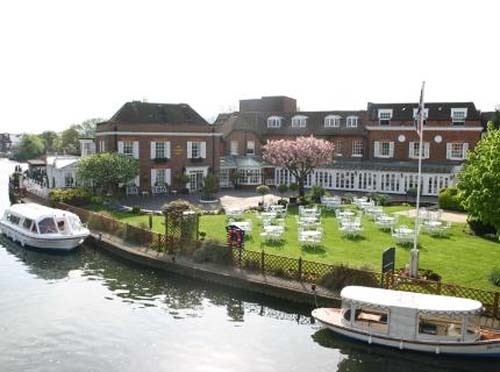 Boat trips and picnics on the river are available at the Compleat Angler Hotel, as well as fishing on the Thames. Marlow Railway Station and town centre are 10 minutes’ walk away. Henley-on-Thames is a 15-minute drive away. Heathrow Airport, Legoland and Ascot Racecourse are all within 30 minutes’ drive.